Bassil S, Kattar S, Navarro-Cerrillo RM, Navarrete Poyatos MA, Nemer N, Palacios Rodríguez G (2018). Stand structure and regeneration of Cedrus libani (A. Rich) in Tannourine Cedar Forest Reserve (Lebanon) affected by cedar web-spinning sawfly (Cephalcia tannourinensis, Hymenoptera: Pamphiliidae). iForest 11: 300-307. The analysis of forest structure is a useful tool to understand stand biodiversity characterizing forest ecosystems, and could help in suggesting appropriate management plans. Cedar forests in Lebanon are remnant patches that survived past human activities but are still threatened by other different anthropogenic and natural disturbances. Among these threats, the cedar web-spinning sawfly (Cephalcia tannourinensis) discovered in Tannourine Cedar Forest Nature Reserve in 1997, which is able to cause the death of trees. The aim of this study is to investigate the impact of this pest on the stand structure and regeneration of Cedrus libani in Tannourine Cedar Forest Nature Reserve located in North Lebanon. The dependence of stand structural attributes (diameter at breast height, total height and basal area) on the presence of infestation by the cedar web-spinning sawfly was identified using the Student’s t-test. The Ripley’s K(d) function was used to analyse the spatial pattern of cedar stands. In addition, the diameter, the vertical structure and the crown projection were characterized using the Weibull function and graphic representations. The results showed that stand structure and regeneration are significantly different between infested and non-infested stands. The cedar of Lebanon remains as the dominant species, with abundant young individuals and a good regeneration status (c = 1.0). The analysis of the spatial pattern showed a positive spatial relationship between mature Lebanese cedar trees as well as between mature and juvenile cedars, with a bigger aggregation in infested plots (6 to 10 meters) than in non-infested quadrates (2 to 7 meters), reflecting the impact of the cedar web-spinning sawfly on the stand structure and regeneration of Cedrus libani stands. The impact of cedar processionary moth [Traumatocampa ispartaensis (DoÄ anlar and Avcí) (Lepidoptera: Notodontidae)] outbreaks on radial growth of Lebanon cedar (Cedrus libani A. Rich.) trees in Turkey. Journal of Pest Science 78 (2): 91-98. An R package for analyzing spatial point patterns. Journal of Statistical Software 12 (6): 1-42. 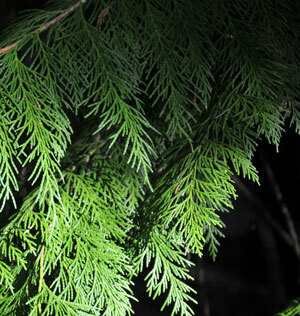 Regeneration of Lebanon cedar (Cedrus libani A. Rich.) on karstic lands in Turkey. Forest Ecology and Management 178: 231-243. Tree fall gap structure and regeneration in mixed Abies alba stands in central Poland. Forest Ecology and Management 255: 3469-3476. Variability in growth, carbon isotope composition, leaf gas exchange and hydraulic traits in the eastern Mediterranean cedars Cedrus libani and C. brevifolia. Tree Physiology 28 (5): 689-701. Lebanon Forest and biodiversity conservation assessment. Web site. Protection of the Lebanese cedar forests with particular emphasis on the new pest Cephalcia tannourinensis n. sp. Web site. Forest structure in a mosaic of rainforest sites: the effect of fragmentation and recovery after clear cut. Forest Ecology and Management 257: 2226-2234. Spatial analysis, a guide for ecologists. Cambridge University Press, Cambridge, UK, pp. 358. Simulation and quantification of the fine-scale spatial pattern and heterogeneity of forest canopy structure: A lacunarity-based method designed for analysis of continuous canopy heights. Forest Ecology and Management 214: 65-90. Forest structure and woody plant species composition along a fire chronosequence in mixed pine-oak forest in the Sierra Madre Oriental, Northeast Mexico. Forest Ecology and Management 256: 161-167. Forest structure characteristics in disturbed and undisturbed sites of Mt. Elegon Moist Lower Montane Forest, western Kenya. Forest Ecology and Management 194: 269-291. Importance of forest structure versus floristics to composition of avain assemblages in tropical deciduous forests of central Highlands, India. Forest Ecology and Management 257: 2287-2295. Evaluation of sampling methods for estimation of structural indices in forest stands. Ecological Modelling 180: 461-476. Effects of soil and air drought on growth, plant water status and leaf gas exchange in three Mediterranean cedar species: Cedrus atlantica, C. brevifolia and C. libani. Trees 21 (2): 201-213. Increasing drought sensitivity and decline of Atlas cedar (Cedrus atlantica ) in the Moroccan Middle Atlas forests. Forests 2 (3): 777-796. State of Lebanon’s forests 2007. IUCN-2007-060, Association for Forests Development and Conservation, Beirut, Lebanon, pp. 128. Structure and spatio-temporal dynamics of cedar forests along a management gradient in the Middle Atlas, Morocco. Forest Ecology and Management 289: 341-353. Evidence of sexual attraction by pheromone in the cedar eb-spinning sawfly. Canadian Entomologist 139: 713-721. Tree species and size structure of old -growth Douglas-fir forests in central Western Oregon, USA. Forest Ecology and Management 204: 329-343. 108 years of change in spatial pattern following selective harvest of a ponderosa pine stand in northern Arizona, USA. Journal of Vegetation Science 20: 79-90. Managing climate change effects on relic forest ecosystems: A program for Lebanese Cedar. Biodiversity 9: 122-130. Flora biodiversity assessment and monitoring Tannourine cedar forest natural reserve. UNEP-GEF Project integrated management of cedar forests in Lebanon in cooperation with other Mediterranean countries. Final report. Hamra Beirut pp. 97. Web site. Biometry: the principles of statistics in biological research. WH Freeman and Co., New York, USA, pp. 887. Stand structure and the abundance and diversity of plants and small mammals in natural and intensively managed forests. Forest Ecology and Management 258: S127-S141. Climatic control of primary forest structure and DBH-height allometry in Northeast China. Forest ecology and Management 234: 264-274. Silvicultural strategies in forest ecosystems affected by introduced pests. Forest Ecology and Management 209 (1): 27-41. Rings, circles and null-models for point pattern analysis in ecology, Oikos 104: 209-229. A technique for conducting point pattern analysis of cluster plot stem-maps. Forest Ecology and Management 198 (1): 31-37.